These stories, by one of the rising stars of Estonian literature, depict ordinary people undergoing extraordinary metamorphoses; it is not only their own lives that are changed forever, but also those of the bystanders drawn in by their fascinating particularities. In "The Butterfly Man," a small-time, self-effacing magician is hired to join a circus -- not on account of his negligible conjuring skills, but because of the exotic butterflies that peel away from him when his emotions are excited. The night watchman in "The Beauty Who Had Seen It All," a man of base, amoral inclinations, discovers the power of invisibility --and seduces a beautiful woman with jaded tastes. "The High Season" tells of an aloof, cantankerous poet whose devotees remain protective of him even at a distance, guarding him at a local caf where he drinks endless cups of coffee and becomes a fixture -- literally. Mehis Heinsaar (b. 1973) has been awarded several prestigious prizes for his ction. His surreal, dreamlike stories describe bewildering occurrences in everyday settings, whether in de ance of social conventions or the laws of physics. Born in Tallinn, he grew up in southern Estonia and studied Estonian philology at the University of Tartu. Adam Cullen (b. 1986) is a translator of Estonian literature into English. His translations include two novels nominated for the Cultural Endowment of Estonia's Prize for Literary Translation: Mihkel Mutt's The Cavemen Chronicle (2015) and Rein Raud's The Brother and the Reconstruction (2017). His rst collection of original poetry, Lichen/Samblik, was published in 2017. Originally from Minnesota, USA, he has resided in Estonia since 2007 Tiina Randviir (b. 1952) was born in Tallinn. After graduating from the University of Tartu, she worked for many years in the publishing industry. 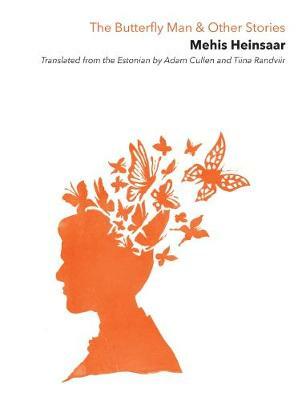 She has translated a number of authors into Estonian, including Alessandro Baricco, Italo Calvino, Carlo Collodi, Elena Ferrante, Helen Fielding and Brigid Keenan.